Sleep occupies nearly a third of human life and acts as a critical daily function to help human body balance and regulate its vital system. 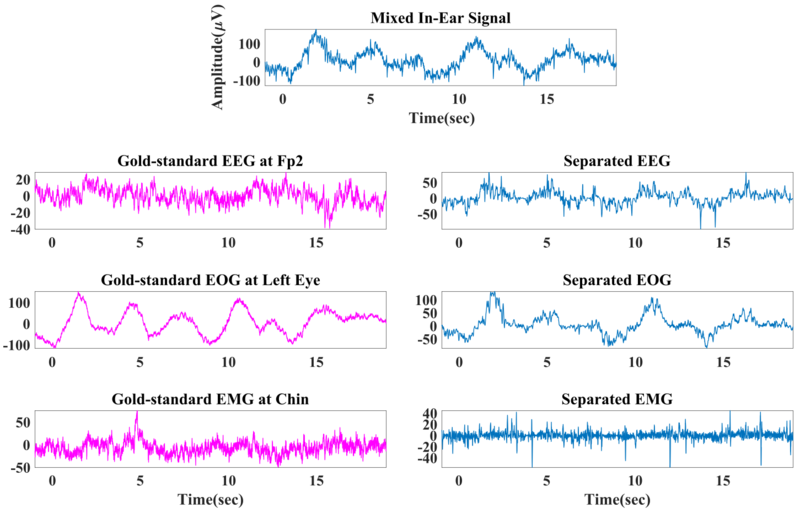 Precisely doing sleep quality assessment requires a simultaneous evaluation of three fundamental bioelectrical signals generated by brain activities, eye movements, and muscle contractions during sleep. However, the “gold standard” sleep diagnostic tool is currently cumbersome, expensive, and inconvenient in use. 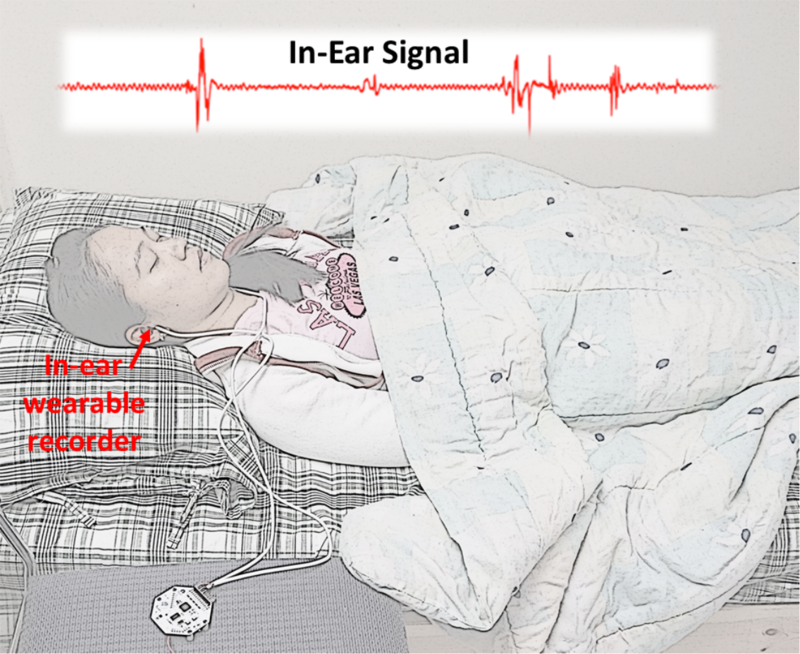 This work aims at developing a costly effective mobile in-ear sensor capable of non-obtrusively capturing such three important biosignals with high fidelity and accurately monitoring sleep of sleeping users. 09/2017: In-ear Bio-Sensing System paper is awarded CACM Research Highlights. 04/2017: In-ear Bio-Sensing System paper is awarded ACM SIGMOBILE Research Highlights [PDF]. 11/2016: In-ear Bio-Sensing System paper is awarded Best Paper at ACM SenSys 2016. 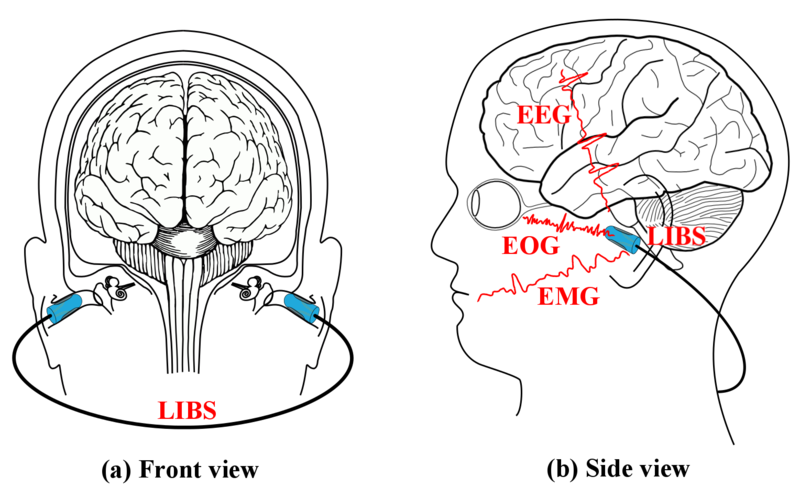 07/2016: In-ear Bio-Sensing System paper is accepted to ACM SenSys 2016. 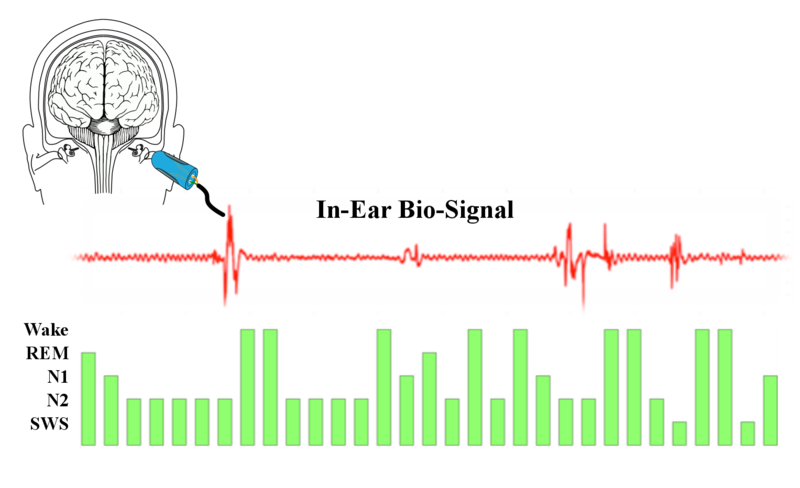 02/2016: In-ear Bio-Sensing System paper is accepted to ACM MobiSys-WearSys 2016. ATS International Conference 2017 - The American Thoracic Society International Conference, May 2017. ACM MobiCom - S3 2016 - The ACM International Conference on Mobile Computing and Networking. The Eighth Wireless of the Students, by the Students, and for the Students Workshop, October 2016. ACM MobiSys - WearSys 2016 - The ACM International Conference on Mobile Systems, Applications and Services. Workshop on Wearable Systems and Applications, June 2016.